SP IIa (Black version). The camera is in good condition. Shutter fires on all speeds and meter works. It doesn't have any dents but it has brassing. The Honeywell case is included. Super Takumar 50 1.4 (8 elements version): Excellent. It has some internal dust and micro-scratches only visible with a flashlight. It doesn't have mold. Last edited by sergysergy; 03-29-2019 at 08:32 AM. PM sent with intent to buy Takumar 20mm. 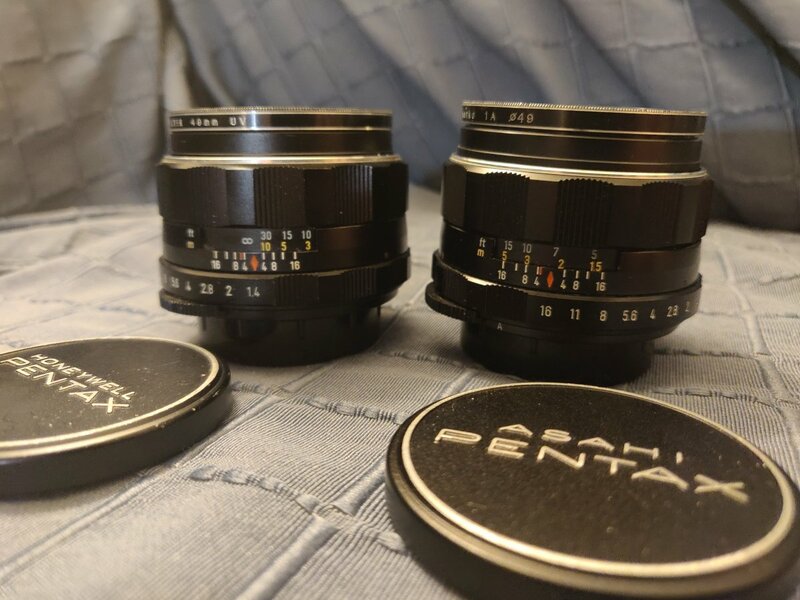 The Takumar 20mm lens and hood showed up in excellent condition. Both were very well packaged. Last edited by Moe49; 11-12-2018 at 06:49 AM. Takumar 20mm sold to Moe. Thanks! Last edited by sergysergy; 12-07-2018 at 06:06 AM.